The 30th bridge in the series documenting the 60 bridges built by the Long Island Motor Parkway is the Old Country Motor Parkway Bridge on the Carle Place/Mineola border connecting to Garden City. 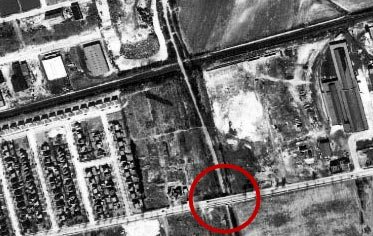 This was classified by the Motor Parkway as a "highway" bridge since it went under Old Country Road. 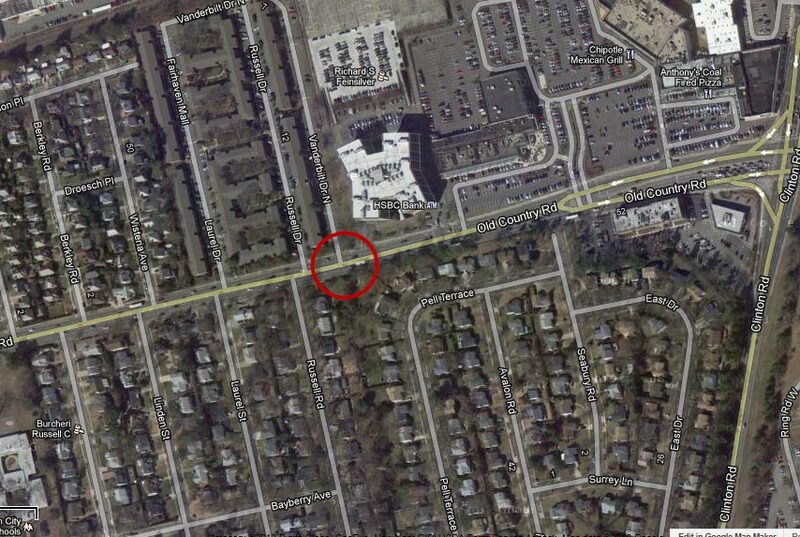 The land south of the bridge was bought by the Motor Parkway from the heirs of A.T. Stewart. 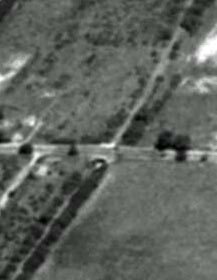 The right-of way was primarily only 50 feet rather than the typical 100 feet or larger. My favorite co-author Al Velocci believes that this section had already been subdivided by the Stewart's Garden City Company and only 25 feet could be carved out from both sides of the subdivisions. 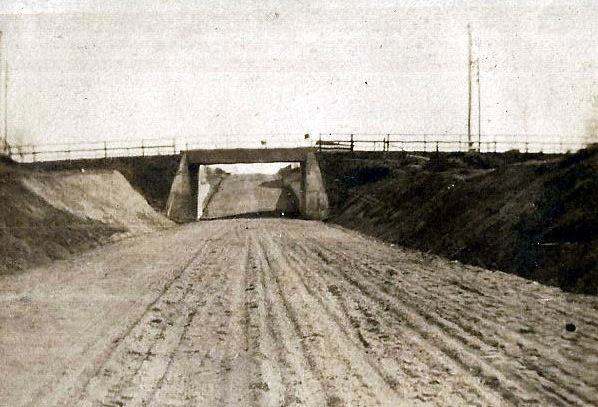 The bridge was built in 1909. 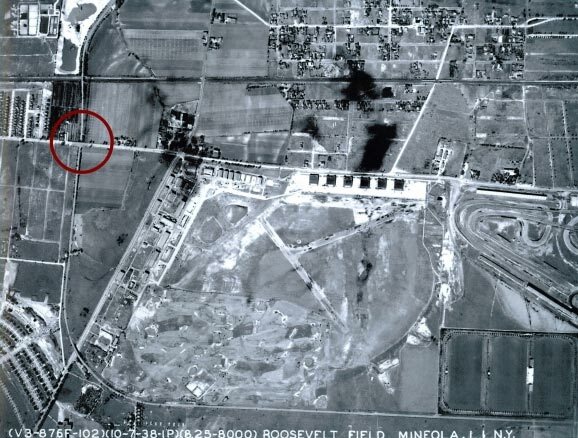 This amazing aerial of Roosevelt Field airport revealed the bridge under Old Country Road. Note the Roosevelt Raceway track on the right- site of the 1936 and 1937 Vanderbilt Cup Races. A close-up of the Old Country Road Motor Parkway Bridge. 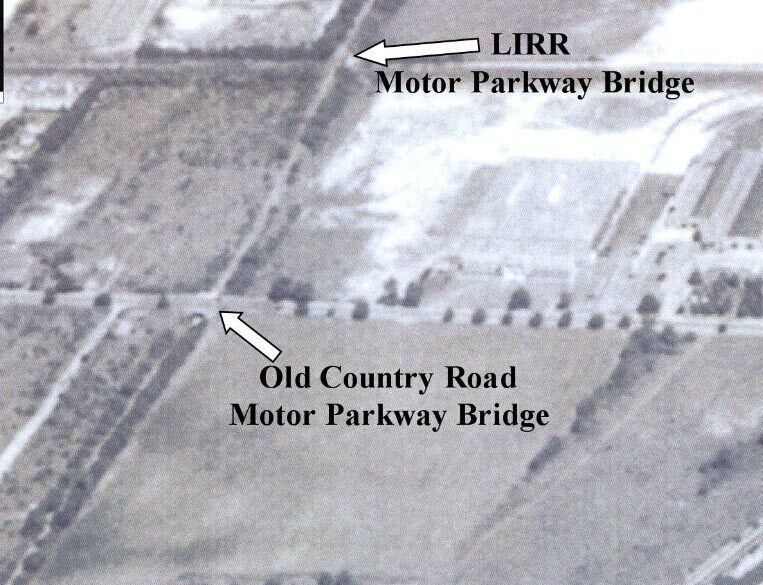 Another aerial view of the both the Mineola LIRR Bridge and the Old Country Road Motor Parkway Bridge. As seen in this New York Archives image, the bridge was still standing 13 years after the Motor Parkway was closed. Probably the best view of the bridge. 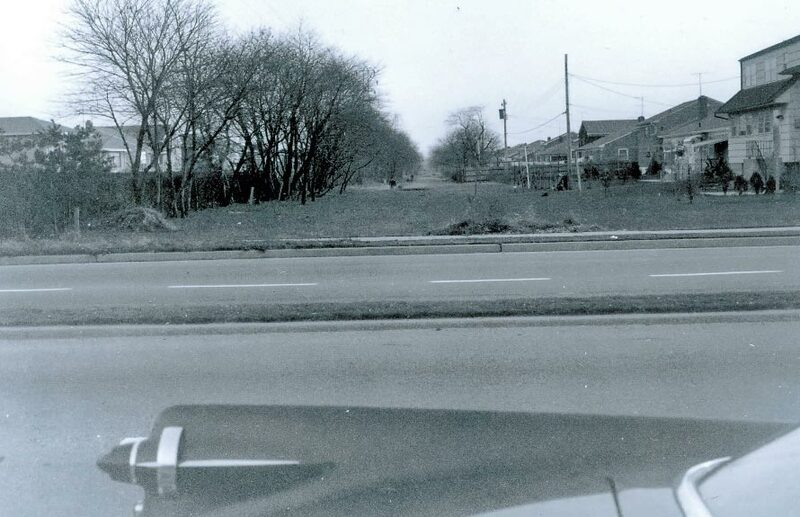 This rarely seen photo shows the Motor Parkway right-of way below grade at Old Country Road, looking south. 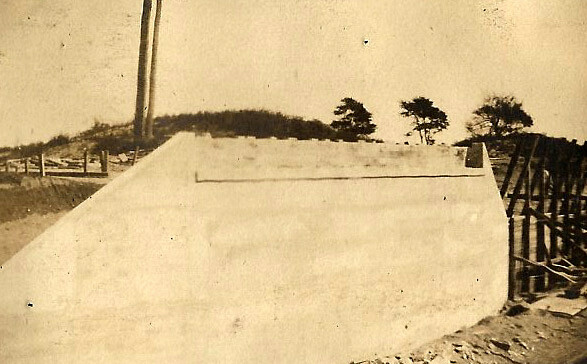 The bridge was taken down in the 1950s. 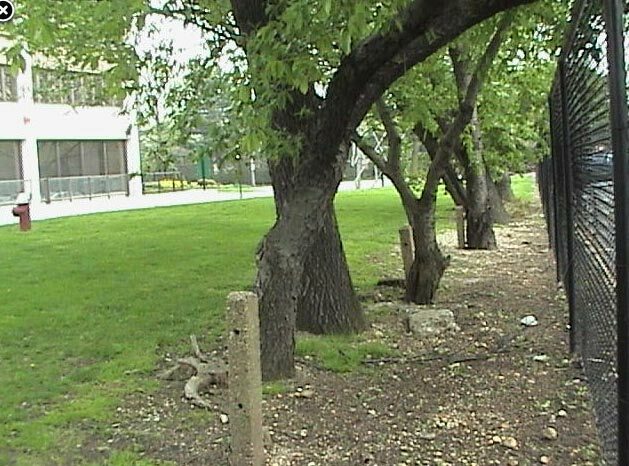 The ever-present Motor Parkway concrete posts were still standing along the fence to the left. 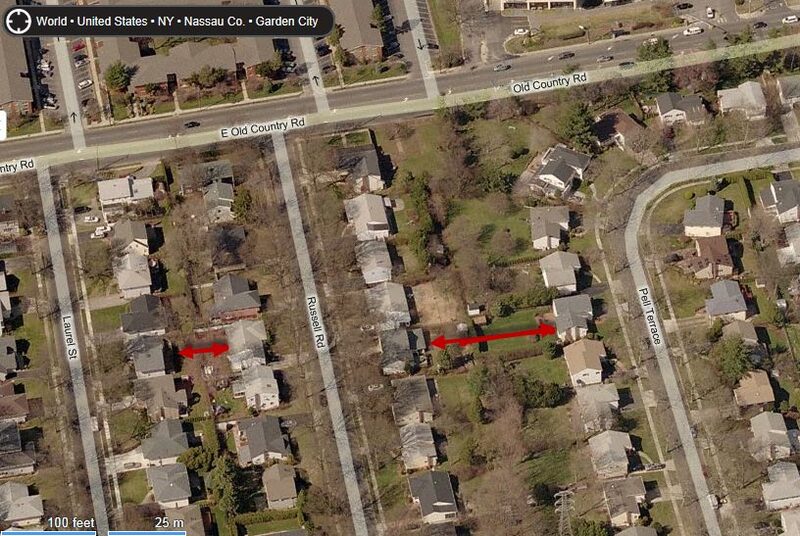 To honor the Motor Parkway, the road on the right of way north of Old Country Road was named Vanderbilt Drive. 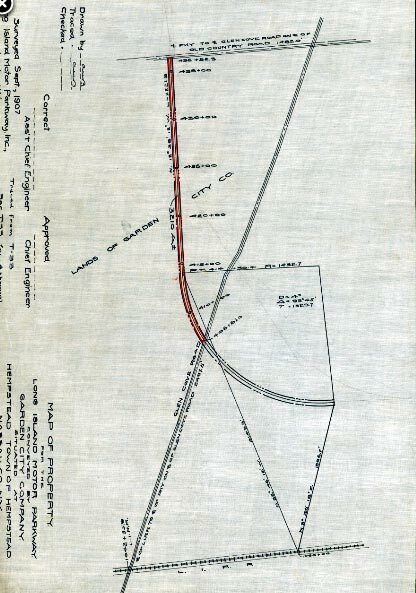 In the 1950s, property owners bordering the right-of-way were able to purchase Motor Parkway property from Nassau County. 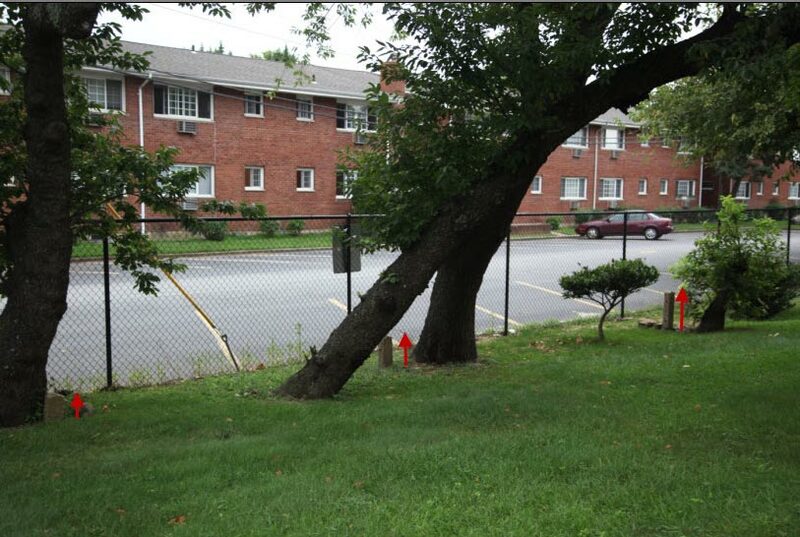 For only $175 each resident purchased their piece of the Motor Parkway, resulting in larger backyards than their neighbors. 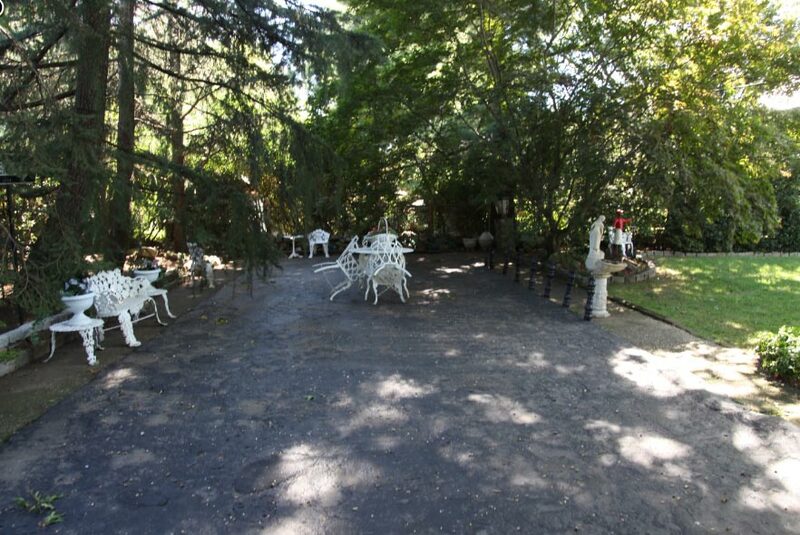 Although most of the Motor Parkway south of Old Country Road is long gone, Arthur Jasper has restored the road in the backyard of his Russell Road home. 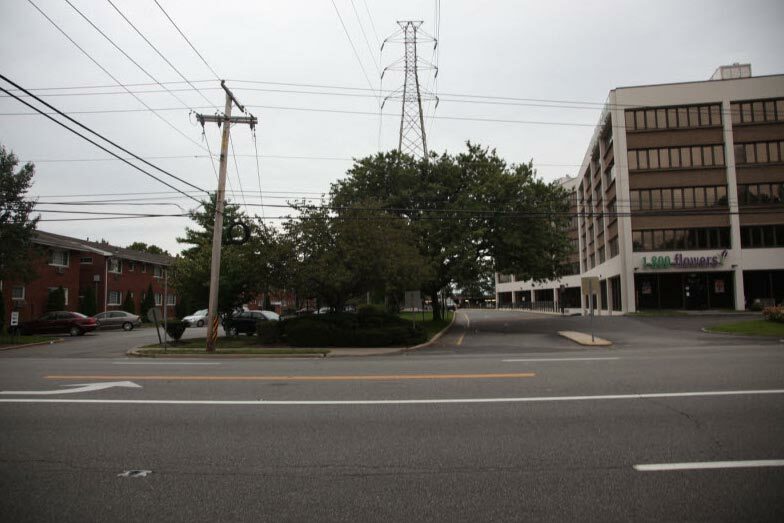 Today, several concrete posts of the Motor Parkway remain in place north of Old Country Road and adjacent to the office building at One Old Country Road. Reflecting the below- grade entrance to the bridge, the height of the posts get smaller as Old Country Road approaches. The view looking north. 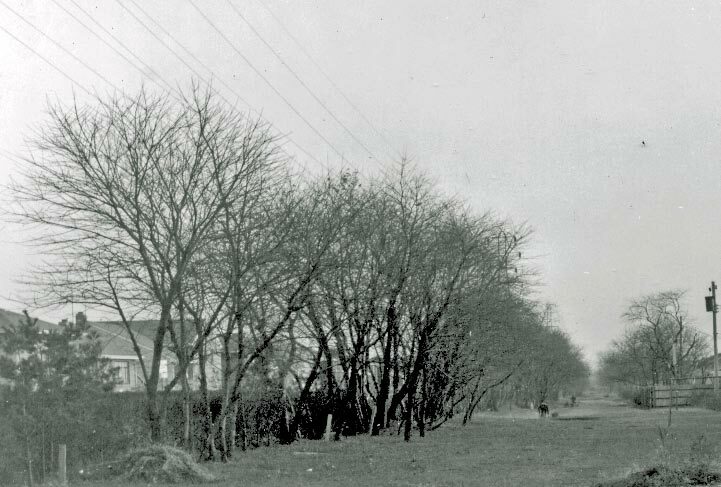 Note the ever-present LIPA utility lines along the Motor Parkway right-of-way. Cheers to Arthur Jasper for doing his part to preserve the historic Parkway. Only wish Nassau had done the same in terms of the spot right next to 1 800 Flowers where the part north of Old Country road exists. But, as ever, kudos to Howard for keeping all of it alive in our historical perspective. Curious though as to why certain bridges chose over while other passageways went under? Interesting how the residents had to pay the County $175 (about $1500 today.) Guess it was part of the deal if you bought that particular house? Wonder if the bridge was sort of buried. 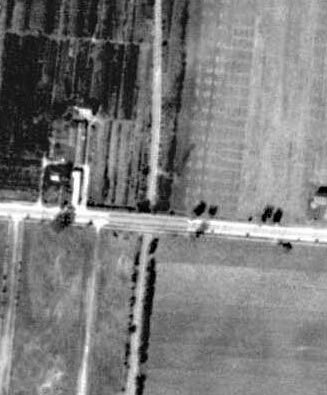 In the 1960 photo, the row seems to slope downward north to old country rd. 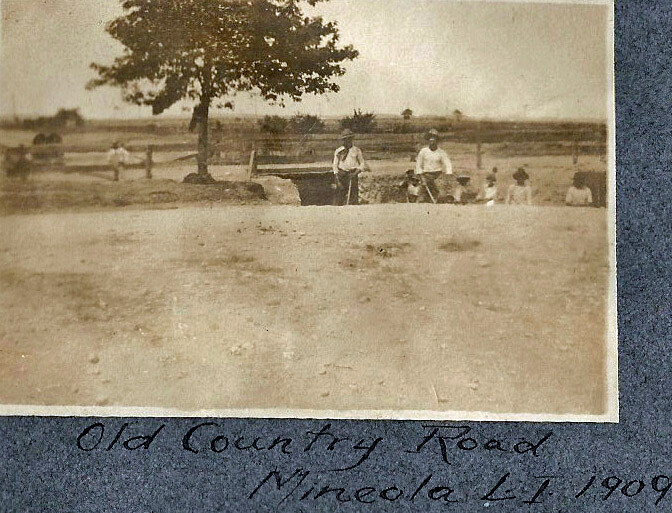 Old country is wider now than it was then. 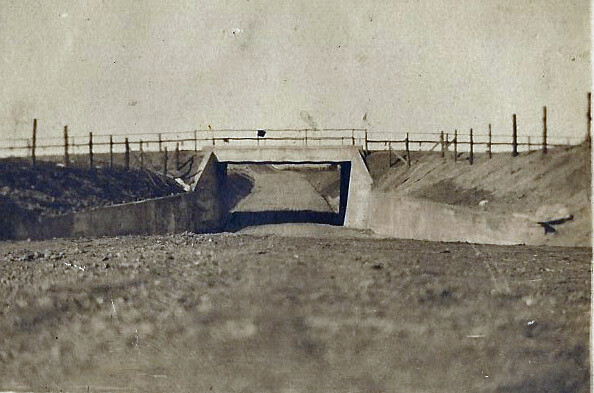 Brian, similar to the Old Courthouse Road and Jericho Turnpike “highway” bridges, the Old Country Road Motor Parkway Bridge was below grade level.